Alanis Obomsawin is a member of the Abenaki Nation and one of Canada’s foremost documentary filmmakers. Throughout her career she has directed 50 films with the National Film Board of Canada that explore the lives and concerns of Canada’s First Nations. Despite her widespread acclaim as a filmmaker Obomsawin initially set out to be a singer, beginning her career in New York City as a professional vocalist in 1960. Seven years later, NFB producers Joe Koenig and Bob Verrall invited her to act as a consultant for a film on Indigenous people. She quickly fell in love with the camera and never looked back. Ms. Obomsawin has received worldwide acclaim not only as a filmmaker but also as a visual artist. Her practice simultaneously crusades for the rights and well-being of indigenous populations while celebrating their culture and heritage. Although these works have become the focal point of her public and critical acclaim, Obomsawin is equally accomplished as a lyricist and musician. She has been singing professionally since the ’60s and has an extensive history performing for humanitarian causes at universities, museums, prisons, festivals and art centres. Her 1988 album Bush Lady – the only official recording Obomsawin ever released – features traditional songs of the Native American Abenaki people and original compositions, gaining cult status for its unique blend of Indigenous folkways and modern/avant-garde arrangements. Buffeted by a resurgence of interest this legendary record, Obomsawin performed Bush Lady live for the first time, thirty years after its release, at a signature performance at the 2017 edition of Le Guess Who? Festival in Utrecht. A re-mastered version of Bush Lady is to be released on Montréal independent label Constellation in Odanak/Canada in June 2018. Born in 1932 in Lebanon, New Hampshire on Waban-Aki territory, Obomsawin’s mother took her to Odanak, Québec (where both her parents were born) when she was six months old. Growing up alongside her maternal Aunt Jessie and Uncle Levi, Obomsawin absorbed the stories and culture of the Odanak people and these have remained a central element of her creative works, as evidenced by her short film Sigwan (2005) and her follow-up, the multi-award-winning Waban-aki: People from Where the Sun Rises (2006). As an activist filmmaker, Obomsawin has always been driven by a desire to give Canada’s first peoples a voice. Throughout her career, she has consistently focused her lens on the importance of roots and intergenerational bonds in preserving First Nations culture. She is also no stranger to documenting emerging conflicts, perhaps demonstrated most clearly in her four films on the 1990 Oka Crisis. Much more information on her filmography is available on her NFB page and on Wikipedia. The awards and honours bestowed upon Obomsawin span several decades and many pages. She was made a Member of the Order of Canada in 1983 and promoted to Officer in 2002. In 2001 she received the Governor General’s Award in Visual and Media Arts. In 2016, she received the Clyde Gilmour Award from the Toronto Film Critics Association, which called her “a significant architect of Canadian cinema and culture”. The same year, she received two of Québec’s highest honours in the form of the prix Albert-Tessier for contributions to Québecois cinema and her appointment as a Grand Officer of the National Order of Québec. Obomsawin holds honorary doctorates from McGill, York, Concordia, Western Ontario, Carleton, Dalhousie and University of British Columbia. 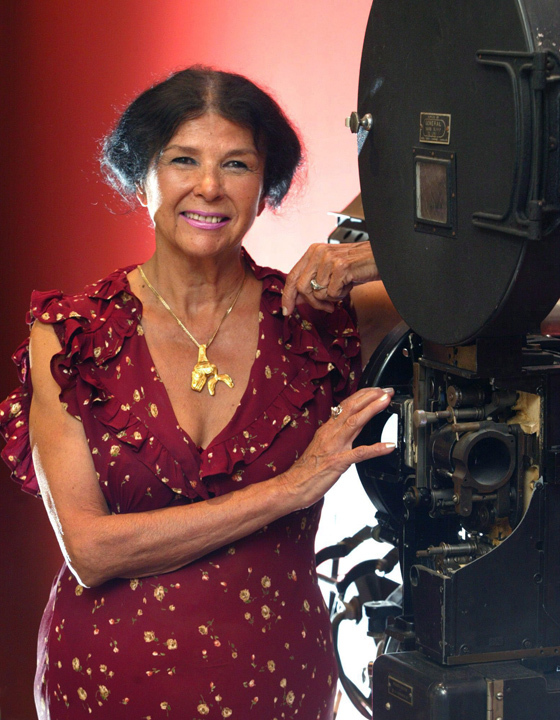 Toronto’s imagineNATIVE Film + Media Arts Festival created an annual documentary award in her name, and she is the subject of the first book on Native filmmakers, Alanis Obomsawin: The Vision of a Native Filmmaker, by Randolph Lewis (2006). 2017 brought even more accolades: she was named a Commander in the newly created Order of Montréal and she received the inaugural Prix Origine at Montréal’s Bâtisseuses de la Cité Awards for her work on Indigenous issues.